Summer in my part of the world brings some pretty intense temperatures and at such times I look for something light to read (when I can tear myself away from binge watching The Crown, a show I should have no interest in being a dedicated republican). 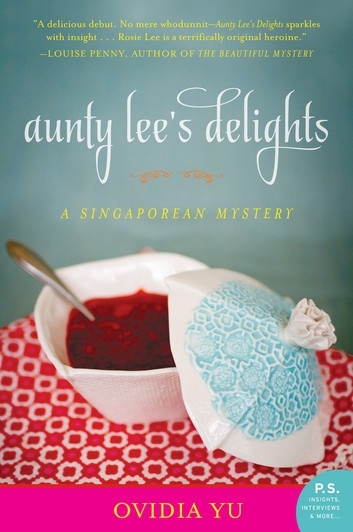 AUNTY LEE’S DELIGHTS is the first in what is to date a four book series of cosy style mysteries set in Yu’s native Singapore. The eponymous character, ‘Aunty’ Rosie Lee, is a wealthy widow who runs a restaurant known for its wonderful home-style cooking. Here she is hosting a series of banquets for her stepson’s latest business venture, a high-end wine club, when one of the regulars is found dead nearby. For those who love travelling virtually via fiction there’s lots to enjoy about this book. Not only is it full of Aunty Lee’s divine-sounding food but there’s lots of local flavour in terms of language, behaviour and social commentary. Characters are a mix of ethnic Chinese, Indians, Malays and Filipinos as well as tourists from several countries which adds a realistic element to the story. As far as the story itself goes I found AUNTY LEE’S DELIGHTS a bit patchy. 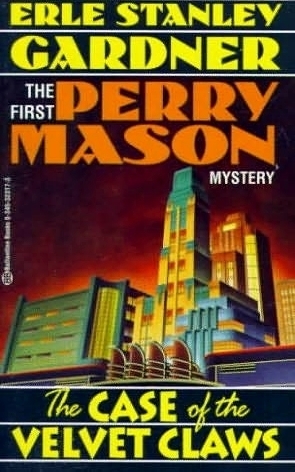 I liked the overall mystery and its resolution, including its inclusion of an element that is both topical and quite specific to the location (I know that sounds almost pointlessly vague but I don’t want to give away too much). But a lot of this story hinges on how much the reader engages with Aunty Lee and I’m afraid I was a bit put off by the fact that she ticks every one of the boxes for this type of cosy mystery heroine (she is in the vein of Alexander McCall Smith’s Precious Ramotswe, though in my thinking not as successful a creation). While some of the minor characters in the book were quite nuanced and believable in the end Aunty Lee was for me over-the-top busy body type who didn’t always ring true. Overall though the book was enjoyable enough for me to happily try another one in the series. The evocative setting, gentle humour and interesting array of minor characters provide more than many of the cosy mysteries I’ve cast aside due to their vapid nature. I’ve always liked the Six Degrees of Separation meme hosted by Kate from booksaremyfavouriteandbest but I’ve not participated before. However with no bookish goals this year it feels like the time to try new things. 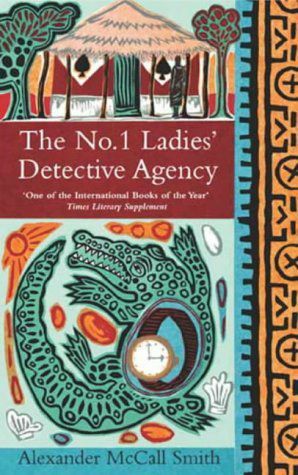 For the uninitiated THE NO.1 LADIES DETECTIVE AGENCY is the first in a series featuring Precious Ramotswe, a newly established private detective in Botswana. I read the book in my pre-blogging days and enjoyed it (though only enough to read one more book in the series…I’ve never gone back to it even though I rather enjoyed those two). 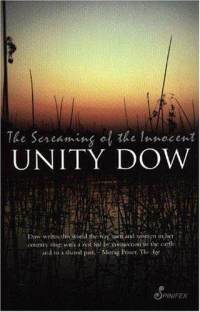 Unity Dow’s THE SCREAMING OF THE INNOCENT is also set in Botswana. Based on a true story it is a gripping tale of a young girl who goes missing and the men who cover up their crimes. Among her many claims to fame Unity Dow is a lawyer (or was, she is now a Judge). The creator of one of the world’s best known fictional lawyers, Perry Mason, was also a lawyer in real life. Erle Stanley Gardner passed the California Bar exam in 1911 (after being kicked out of his first law school in Indiana for being more interested in boxing than studying). He published his first Perry Mason novel, THE CASE OF THE VELVET CLAWS, in 1933. It proved not to be the only time Mason’s long suffering secretary Della Street was the one to notice their attractive female clients had not-so-good intentions. Although Gardner wrote 84 novels in the series many people are probably more familiar with the TV series based on the characters. Raymond Burr Played Mason and Barbara Hale played Della Street from 1957-1966 and again in a series of TV movies from 1985-1995. Another author whose books are less well known than the TV adaptation based on them is Caroline Graham, a graduate of the University of Birmingham. 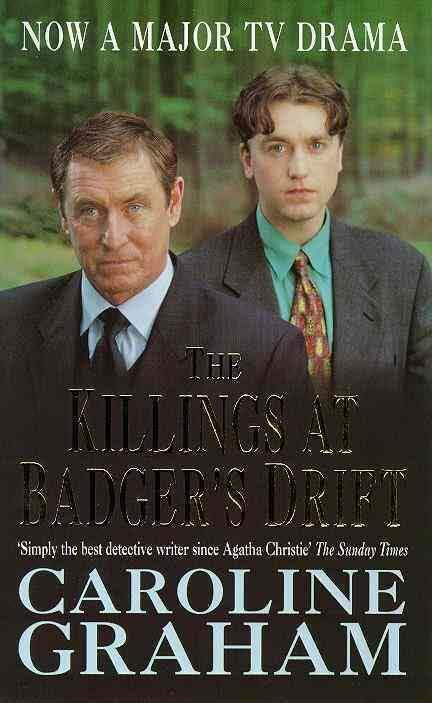 Starting with THE KILLINGS AT BADGER’S DRIFT Graham wrote 7 novels featuring Inspector Tom Barnaby. As the TV series MIDSOMER MURDERS Tom Barnaby, played by John Nettles, solved 81 cases and his cousin John, played by Neil Dudgeon, has (currently) solved another 44 cases. The first 5 episodes of the TV series were based on Graham’s first 5 books but from there on the two formats parted ways. Maureen O’Conner is an English journalist who also graduated from the University of Birmingham. Under the pseudonym Patrica Hall O’Conner has published 3 standalone crime novels and 20 novels in two separate crime series. Probably her best known series is the one featuring police Inspector Michael Thackeray and his journalist/girlfriend Laura Ackroyd. 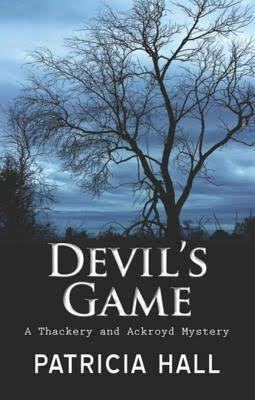 I’ve read two books in the series including DEVIL’S GAME which I very much enjoyed (If there were extra points to be had I would also point out that Jane Wymark, who played Joyce Barnaby opposite John Nettles for all those years is also a graduate of the University of Birmingham). 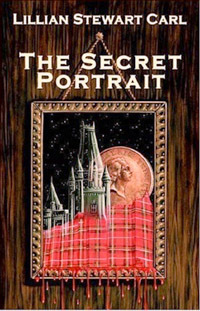 American cross-genre author Lillian Stewart Carl published THE SECRET PORTRAIT in 2005. It introduces Jean Fairburn, an academic caught up in an academic scandal and going through a marriage break-up. She takes up a job as a history and travel journalist in Edinburgh but instead of being able to investigate a historical mystery she is embroiled in a modern one. Through the murder case she meets police detective Alasdair Cameron. 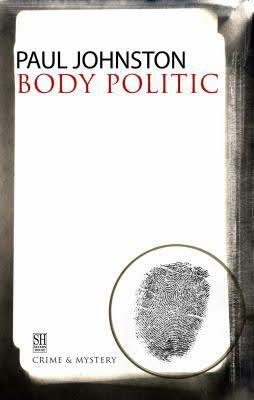 There’s an obvious Edinburgh option here for crime fiction fans but I’m going to be a little more creative and suggest Paul Johnston’s book BODY POLITIC which features a detective called Quintilian Dalrymple. I read it some years ago now but remember it because it was set in the 2020’s – the near future for the book’s time (1995). One of the premises for the novel is that Edinburgh (not all of Scotland, just the city) had achieved independence of a sort, is being run as a fairly corrupt city state and there’s a serial killer on the loose. The future is rarely depicted with rainbows and unicorns…as we shall see below. My final book in this vaguely connected thread is another book set in the near future. 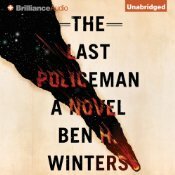 Ben H. Winters’ THE LAST POLICEMAN is set at a vague point “soonish” when Earth – or at least a good chunk of it – is due to be obliterated by an asteroid in a few months and most people have given up on anything but surviving and, where possible, enjoying themselves. New Hampshire cop Henry Palace has only just been made a detective though and he is compelled to do his job, despite the collapse of civilisation as he knows it. And there we have it…from THE LADIES NO. 1 DETECTIVE AGENCY to THE LAST POLICEMAN. Read more about #6degrees at Kate’s blog. 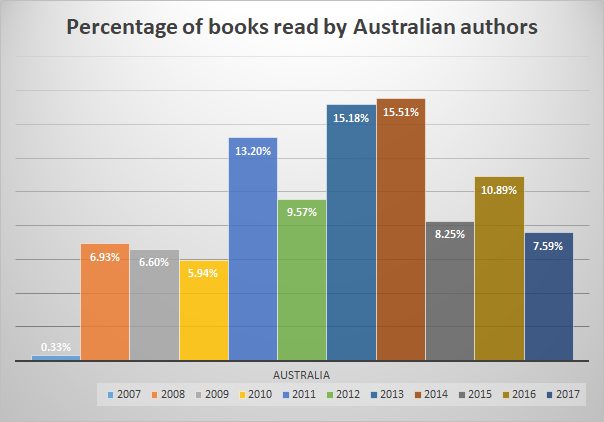 My absolute favourite book blog thing to do each year is reflecting on my year’s reading through a series of charts. Because I can more than because it is meaningful. 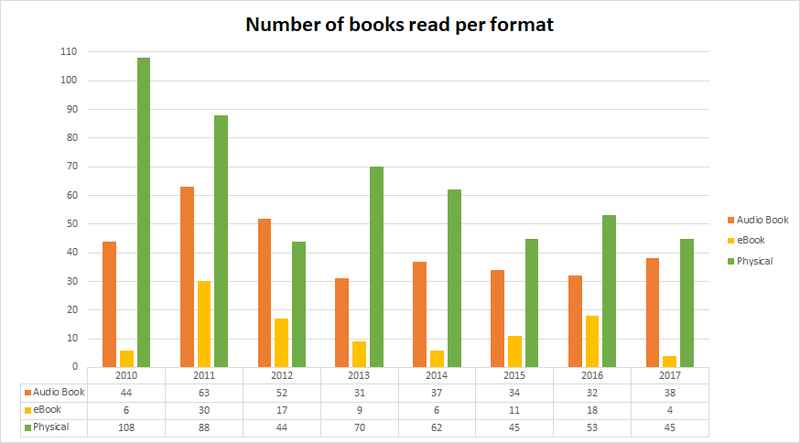 The first chart is a basic “how many have I read” and shows that in 2017 I dropped to a 10 year low. While cause for some personal distress I’m pretty sure I am doing better than most if this two year old Pew Research data is anything to go by. According to it, of the 72% of Americans who read at least one book in the previous year their total books read numbers ranged from 4-12 books in that year. The next chart focuses on the format I read in. I got my first eReader in 2010 but the format has never really taken over my reading. Partly because I don’t want to shop at Amazon and partly because I really don’t like the eBook format all that much. This year’s figures show I’ve only read 4 even though my local library now offers loans in this format. I prefer physical books for print reading and still adore audio books when I want to move and read at the same time. Gender, and more specifically discrimination based on gender, has certainly been an issue in all sorts of arenas this year. Sad that it still has to be but good that people from various walks of life are speaking out and conversations are being had. As far as bookish things go things are surely improving for female writers with programs such as the Orange and Stella Prizes and the Australian Women Writers Challenge but I’ve still seen a few ‘year end’ lists containing no female writers. I do not recall seeing a single list that has no male writers on it. Food for thought? 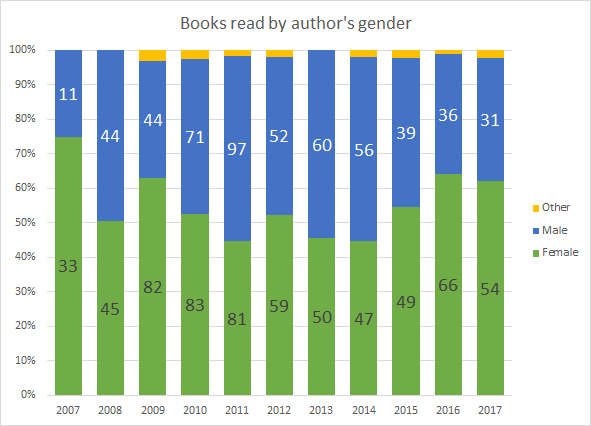 My chart that relates to this issue shows the number of books by male and female authored books I’ve read each year for the past 11 years and displays this as a percentage of the total. 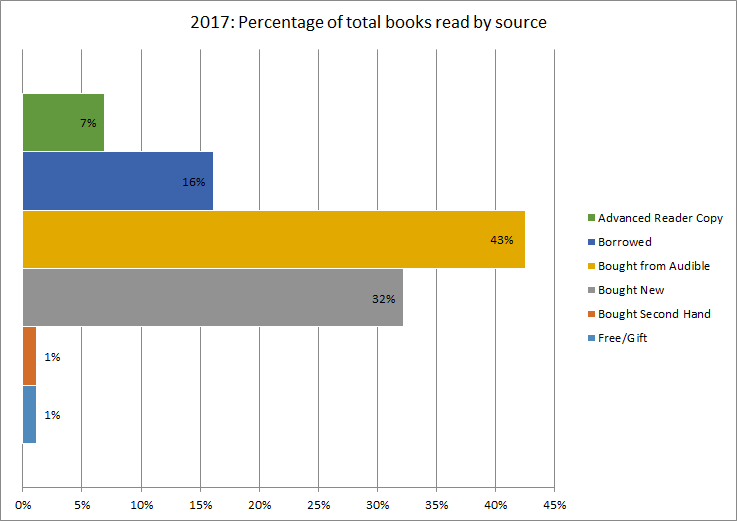 In 2017 just over 60% of the books I read were by female authors. For recording the source of my reading material I used to lump all purchases together but this year I have broken them out into different categories. It makes most sense in the case of Audible downloads which don’t really fit into the Bought New category. 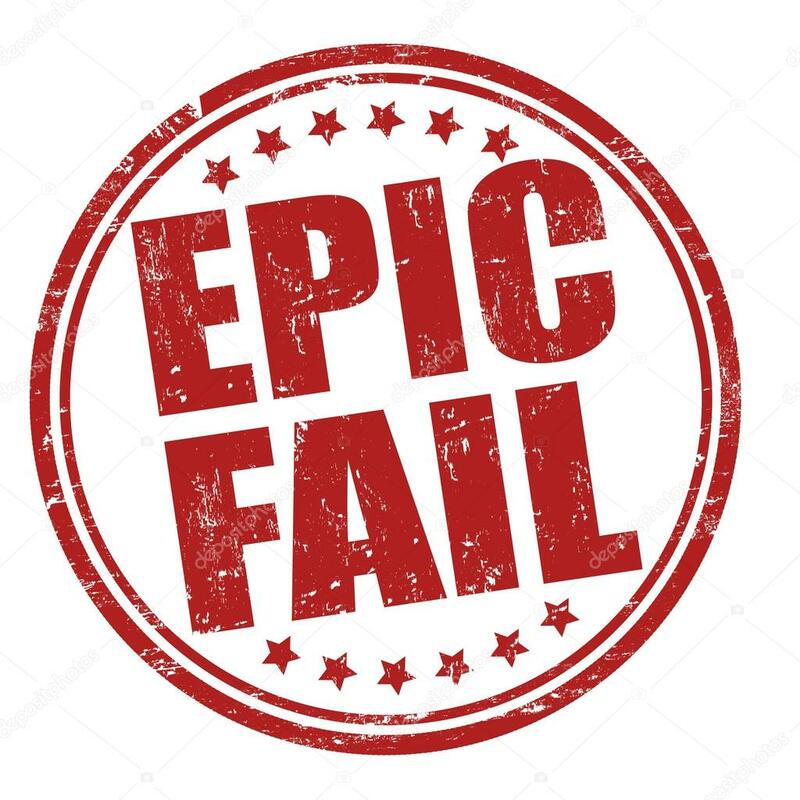 I tried one audio book from my library in an effort to reduce my reliance on Amazon (which owns Audible) but the experience was sub par and the selection even worse. For now I’m stuck with the giant if I want to continue listening at a price I can afford. This year I read (or at least started) 23 books by Australian authors which equates to just under 8% of my total. It’s the lowest percentage for quite a few years which saddens me a little. Will try harder. 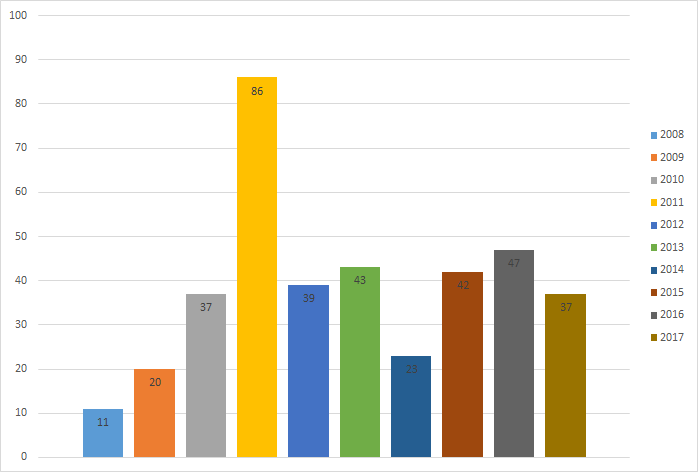 I like to have a mix of old favourites and new (to me) authors so keep track of this data too. This year’s percentage was a little lower than the past couple of years but it is such a hard thing to balance. It’s almost like I want books by new authors to be unenjoyable so I don’t have to add them to my ‘must read’ list. This year nearly half of the books I read (46%) were by new authors and 7 of them ended up among my favourites for the year. 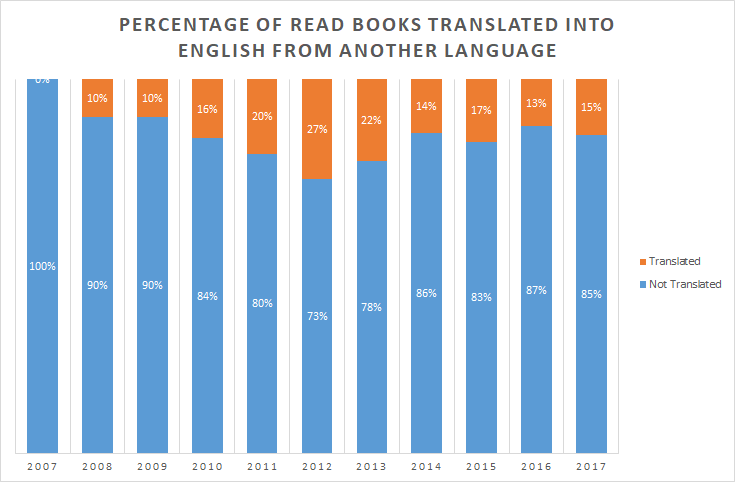 I’m keeping steady on my reading of books translated into English, I’d need to set some specific goals if I want to move this percentage significantly I think. And finally where did I travel virtually? To 21 countries and a vague international waters setting. What a treat. I had 5 bookish goals and only achieved one of them. I did lose my job and have a major health incident during the second half of the year but realistically that meant I had more time for reading than usual. Time I mainly spent binge watching stuff on Netflix and the Variety pack of channels offered by Fetch TV (mainly BBC First). Shame on me. I probably should try to up my game for 2018 but instead I’m going goal free. I read and reviewed only 14 books. I participated 4 times then the meme host took a break. I only read 1 additional classic novel on my own. Sigh. I only read 23 books that I owned before 1 January 2017. I got rid of a handful more that I know now I will never read but I also acquired rather a lot of books. My TBR pile at the end of the year stood at 133…two more than at the same time last year. Read at least 10 books eligible for my virtual tour of the US via its fiction (each one set in a different state and by a new-to-me author). I only read 6 eligible books for this challenge and two of those were squeezed in during the dying days of December. My virtual trip has been going for 4 years and I’ve only visited 21 states! 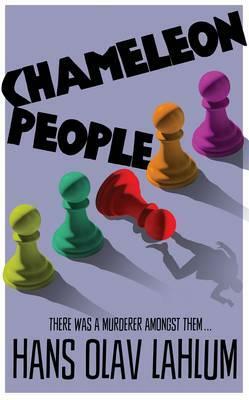 I only read one book this long during the year and, frankly, it wasn’t very good, so I will highlight instead CHAMELEON PEOPLE, the 4th book in Hans Olav Lahlum’s historical series set in 1970’s Norway. At 470 pages in its English translation the book is almost enough to qualify for this square and ticks all the right boxes for me: engaging characters, interesting exploration of social and historical themes and a terrific plot which combines the best elements of golden age detective stories with modern sensibilities. 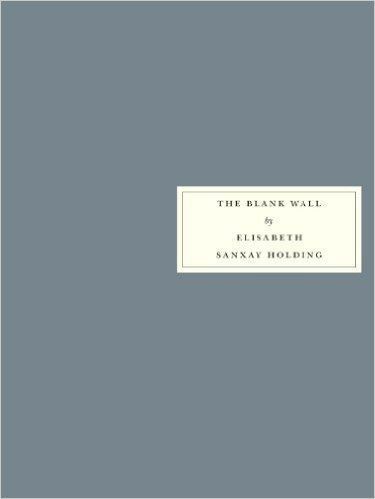 Elisabeth Sanxay Holding’s THE BLANK WALL was first published in 1947 and still holds up 70 years later. Its depiction of a mother’s world unravelling due to her need to protect her nearly grown children is utterly compelling. The edition I found was released by Persephone Books over a decade ago but Holding’s work is definitely less well known than her male counterparts. 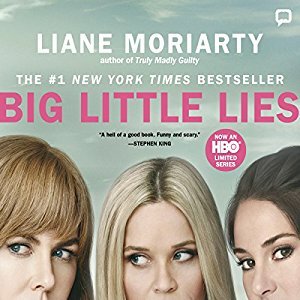 The only book I read that nearly qualifies is Liane Moriarty’s BIG LITTLE LIES which became a smash hit TV series. 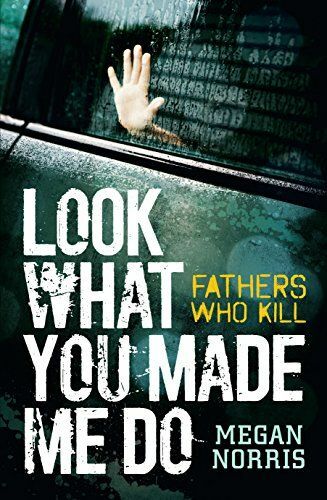 I thought the book had some nice character development but overall it was a little disappointing…safe where it had the potential to be subversive and a little lacking in suspense. I haven’t watched the series yet. 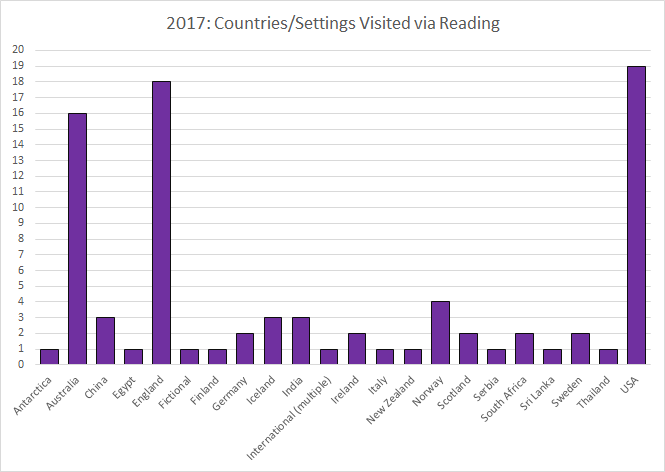 24 of the books I completed reading in 2017 were first published during the year. 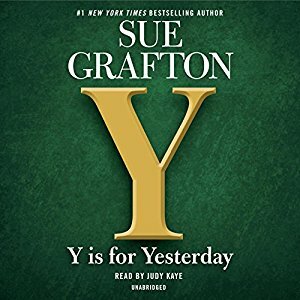 There are several I could highlight but given its author died during the final days of the year I would be remiss if I didn’t mention the new end of the alphabet: Sue Grafton’s Y IS FOR YESTERDAY. It is not my favourite of the series, indeed I struggled with its moral messaging, but as it is to be the last instalment of a 25 book series that introduced me to my first grown up fictional heroine and kept me company for more hours than I can count I feel the need to say a fond and genuinely grateful farewell to Ms Grafton and Kinsey Millhone. A blank square for me this year. Another blank square. I deliberately avoid delving too much into the lives of the authors I read…their work is what interests me…so unless their age is made into “a thing” I’m unlikely to know it. Taking a quick look at this year’s list though I don’t see any names that I am sure belong to the under 30 set. 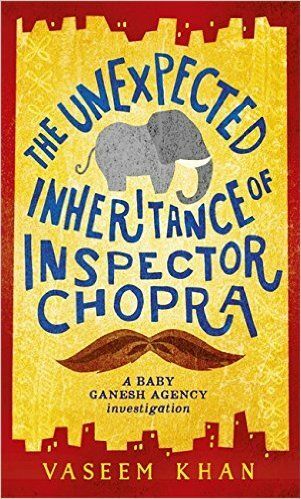 Always a difficult one for me as I avoid talking animals, paranormal beings and the like but I did discover THE UNEXPECTED INHERITANCE OF INSPECTOR CHOPRA by Vaseem Khan this year. It is a deceptively light tale about an Indian policeman on the cusp of retirement who takes on a last, troublesome case at the same time as he inherits a baby elephant. The animal doesn’t talk but it is influential in the story’s resolution and the book is a delight. 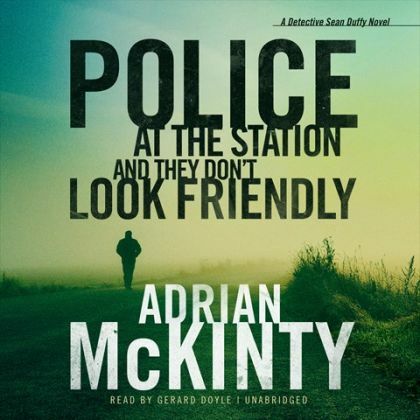 Adrian McKinty’s POLICE AT THE STATION AND THEY DON’T LOOK FRIENDLY has the kind of dark, dark humour you’ll either love or hate. There’s no middle ground. It is the sixth book in a series set in Ireland during The Troubles and it depicts the chaos of life in all its glory. I loved it as did the judges for 2017’s Ned Kelly Awards. Surely the most troubling square on the bingo card. 54 of the 87 books I started reading this year were by female authors so this is almost another free square for me and I’ve chosen to highlight Shamini Flint’s A FRIGHTFULLY ENGLISH EXECUTION. Flint has become one of my very favourite authors, as evidenced by my recent love fest for her, and this book might just be her best yet as it sends her series hero to England and gives him a cold case to solve and a present-day terrorist act to prevent. 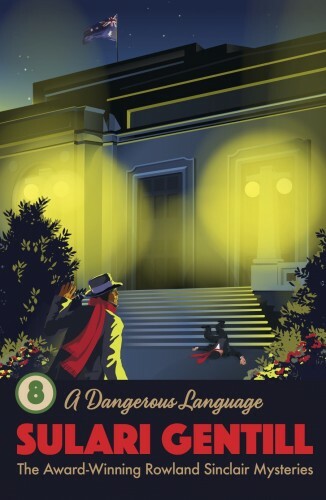 Another chance for me to highlight just about anything I’ve read so I’ll take the time to mention Sulari Gentill’s latest Rowland Sinclair mystery: A DANGEROUS LANGUAGE. Set in 1934 I summed the book up with these words in my review “There’s a marriage proposal, two broken leg accidents, an international air race and a potentially murderous politician amidst this tale of excitement, friendship, humour and being honourable even when you’re scared“. I loved it. I’m going to be elastic with the rules here and choose two books…Holly Throsby’s GOODWOOD and Mark Brandi’s WIMMERA as they seemed like companion pieces to me. 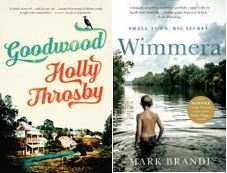 They are both by Australian writers, both depict small town, rural life exquisitely and both explore the nature of secrets and they way they can ruin lives. Another blank square for me this year. I buy quite a lot of short story collections but can never bring myself to read them in favour of something novel-length. 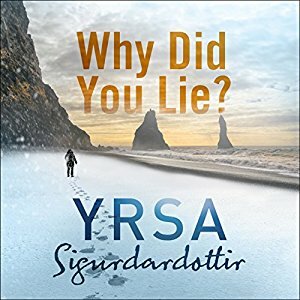 In some ways the hardest square to fill as I’ve left it until last and there are several books vying for the final spot but I have to go with Icelandic author Yrsa Sigurdardottir’s WHY DID YOU LIE? which is an unsettling tale of three seemingly unrelated threads in which the lives of ordinary people unravel alarmingly. Sigurdardottir really is a master storyteller. Another relatively easy square for me as I started 70 books set in 20 real countries/locations other than Australia and one book set somewhere entirely fictional. 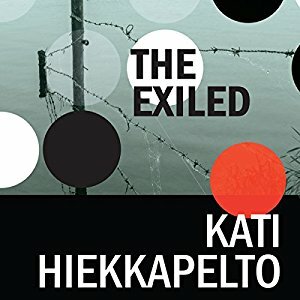 I’m choosing Finnish author Kati Hiekkapelto’s THE EXILED which I thought the best of the three books in her series so far (and I really liked the other two). It depicts her series heroine grappling with a kind of homelessness as she discovers she doesn’t fully belong in either her adopted home (Finland) or the place of her birth (a village in what is now Serbia that used to be part of Hungary). It is a story that seems like a small one at first – starting as it does with a stolen handbag – but which goes on to prove that Shakespeare knew a thing or two when talking about tangled webs and practicing to deceive. Embarrassingly I only read one non-fiction work during the year but Megan Norris’ LOOK WHAT YOU MADE ME DO was very good. If very disturbing. And very, very sad. Norris describes real Australian cases in which cowardly, juvenile, narcissistic, repugnant men have killed their own children as an act of revenge against the woman who have dared to escape their violent, bullying, controlling clutches. Norris deals with the grim subject matter as sensitively as it’s possible to do and if I still feel uneasy because I don’t know what to do with all the information I gleaned that’s not the author’s fault. Again being a little elastic I think that David Casarett might become a favourite author after I happened upon his first book MURDER AT THE HOUSE OF ROOSTER HAPPINESS this year. Set in Thailand and featuring an ethicist as its main character the book is ostensibly about the search for a possible husband killer but is really about much more. 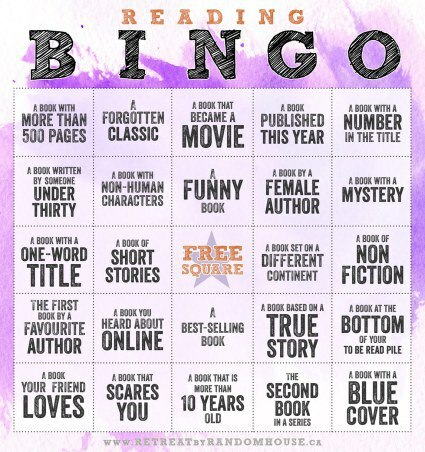 Several of the books already included here would qualify for this bingo square but I’ll highlight an additional book: Bill Crider’s TOO LATE TO DIE which was recommended by Tracy who hosts one of my ‘go to’ blogs Bitter Tea and Mystery. I read the book, set in Texas, for my Reading USA Fiction challenge and really enjoyed meeting its small town sheriff and watching him untangle several crimes. I liked that it gave me a more nuanced sense of Texas than the one often depicted in the media. And if you want to start your year reading something that is at the same time sad and joyful take a look at Bill Crider’s (probably) final post on his blog last month as he prepared to enter palliative care. The comments require tissues but do show just what an impact good authors who are also decent human beings can have on the world around them. 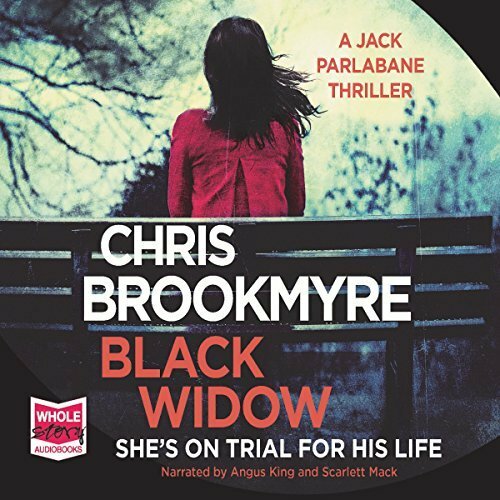 I’ve read several that probably qualify but none of them really stand out for me so I’ll highlight a multiple award winner (and hopefully a best seller too) that I really do think worth recommending: Chris Brookmyre’s BLACK WIDOW. It is one of the Scottish author’s Jack Parlabane novels and focuses on a not entirely likeable but very compelling female surgeon who gets caught up in a truly twisted series of events. It is an absolutely cracking story. Staying in Scotland I can’t go past Denise Mina’s THE LONG DROP which is a fictionalised account of some events in the life of the country’s worst serial killer, Peter Manuel. The book has stayed with me for months due to being “…a beautifully written tale of utter ugliness”. 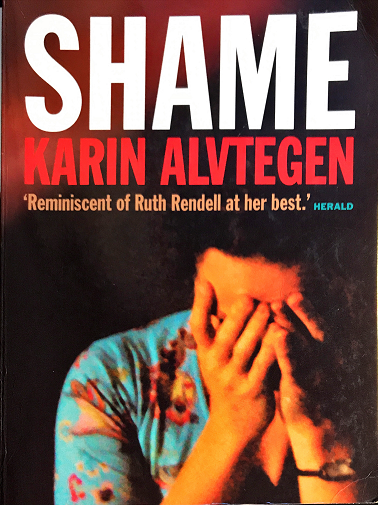 Once again I have failed to make much of a dent in my pile of long-owned books but I did read and thoroughly enjoy Karin Alvtegen’s SHAME which I’ve owned since 2009. It is a story of two women who are outsiders in different ways and I particularly like the way Alvtegen creates both characters very well. There’s no overt sentimentality or mawkishness yet no deliberate unkindnesses either. A top read indeed. 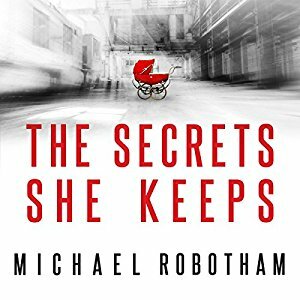 One of my book club chums and fellow book blogger Kerrie is a huge fan of Michael Robotham. With is 2017 release I am in complete agreement with Kerrie that THE SECRETS SHE KEEPS is a great read, forcing me to feel tenderness and compassion towards its two central characters who, at least initially, I thought I would hate. If pressed I would say that this is my absolute favourite read of the year. 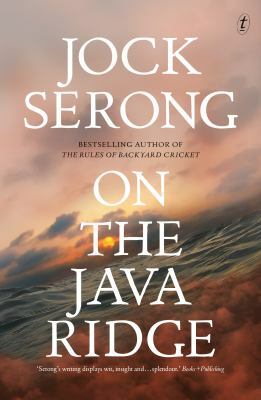 Set in the near future and taking place mostly on the oceans between Indonesia and Australia, Jock Serong’s ON THE JAVA RIDGE depicts what happens when a surfing charter encounters a boat full of refugees. It has haunted my nightmares and its ending can still bring tears to my eyes and embarrassment on behalf of my country to my heart. 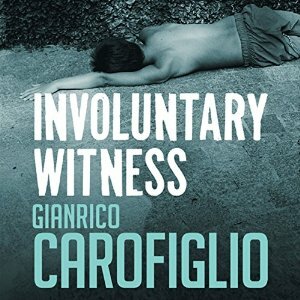 I’ve not read as many eligible books in this series as I would like to have but Gianrico Carofigli’s INVOLUNTARY WITNESS was first published in Italian in 2005. It is only loosely crime fiction, even though its main character is a lawyer and it depicts the trial of a Senegalese migrant for the murder of a young boy. It’s not like an American-style legal thriller and has lots of loose ends but I thoroughly enjoyed the social commentary and the way it kept confounding my expectations. 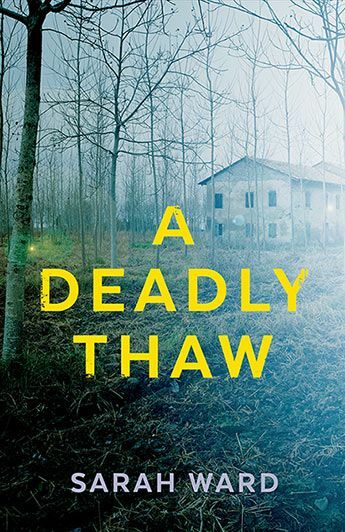 I actually read and enjoyed the second and third book in Sarah Ward’s series featuring DC Connie Childs and her colleagues during the year but the second – A DEADLY THAW – scored one extra point on my personal rating scale. One of the features of the series is that present day crimes are linked with the past in some way and here it is the present day discovery of the fresh body of a man who was thought to have been killed a decade earlier. The plot is intricate and nail-biting and the characters excellent. I’ve found Leif G.W. 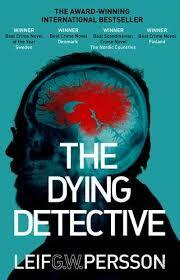 Persson’s books a bit hit or miss over the years but THE DYING DETECTIVE is definitely a hit. Persson’s recurring police character has a stroke and while recovering in hospital he meets a doctor burdened with a family secret. From his sick couch Lars Martin Johansson attempts to solve the cold case while being unusually (for him) limited by his all too human frailties. Favourite blog post series: To be totally honest I’m not sure when I subscribed to the excellent The Invisible Event, hosted by classic crime & mystery expert JJ, but it was this year that I noticed his JJ’s series of posts entitled Adventures in Self-Publishing in which JJ critiques self-published, locked room mysteries. Sometimes so the rest of us don’t have to. The posts are always informative and sometimes spit-take inducing if I am silly enough to drink tea at the same time as reading the blog, my favourite post for the year was the most recent one. To be fair JJ doesn’t always hate the adventures. 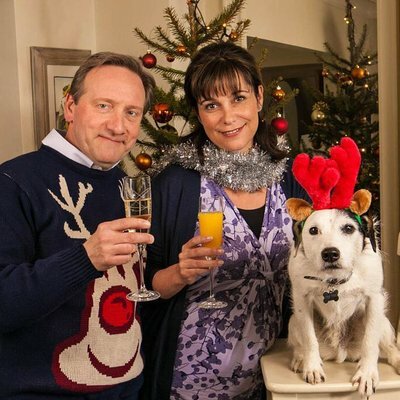 Best Vaguely Bookish Twitter Account: @midsomerplots or the Midsomer Murders Bot is a silly, funny account that every day offers a fictitious, ridiculous plot for an episode of the well-known English TV show (based originally on Caroline Graham’s book series) in which the murder count is absurdly high. Especially good if, like me, you’re just worn down by the rest of Twitter and its reflections of our real-world woes. As the calendar year draws to an end I’m always a bit reluctant to start books that are likely to be long and/or overly grim reads which, for a crime fiction fan, reduces the potential reading pile somewhat. So this year I decided to tackle a couple of cosy novels which both happen to also be eligible for my Reading USA Fiction challenge. This trip, which is taking much longer than I imagined, requires me to read a book by a new (to me) author set in each state of the US. The first stop was in the real state of Connecticut via a fictional town called Briar Creek. 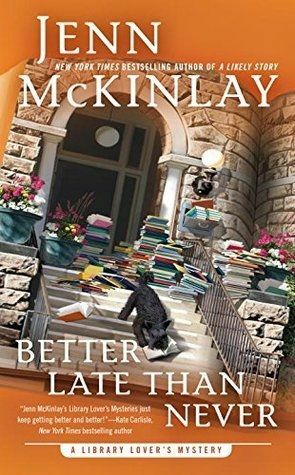 BETTER LATE THAN NEVER by Jenn McKinlay is the seventh instalment of series featuring Lindsay Norris, a librarian heroine, so it is quite fitting that I literally stumbled on it in my own local library last week (it had fallen from the new books shelving). Lindsay’s library is holding its first overdue book amnesty, meaning that the town’s residents can return all their overdue books without incurring any fines or the wrath of library staff. One of the returned books is a copy of The Catcher in the Rye that was checked out twenty years earlier by a local teacher who was killed later that same day. Her murder has never been solved and Lindsay becomes somewhat obsessed with unmasking the teacher’s murderer. 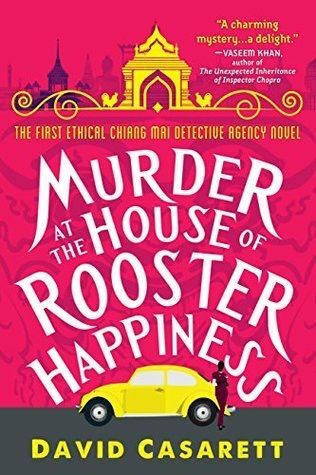 The story here is a good one, following the modern cosy mystery formula fairly closely but having a bit of fun with it along the way. As always you have to be prepared to suspend disbelief with regards to a random citizen being so closely involved in a police investigation, especially as Lindsay doesn’t have a close relationship with anyone from law enforcement, but McKinlay makes that fairly easy to do. Lindsay is depicted as naturally inquisitive and there are elements of the case that she is not able to uncover without direct intervention from the authorities. There’s a nice cast of supporting characters, including a love interest with whom Lindsay obviously has a history, and the book offers a good mix of sleuthing and romance. Although I’ve not read any of the series’ earlier instalments I did not feel at a disadvantage which is something of a rarity, especially for cosy series. I gleaned enough about the characters’ past histories to make sense of current events but not so much that reading earlier books in the series would now be boring. About the only negative thing I can dredge up is that the book didn’t scream Connecticut in any particular way which somewhat defeats the point of this reading challenge but the small town setting is nicely drawn. I would happily read more of this series. My other stop for the challenge was in Colorado with Lynn Cahoon’s A STORY TO KILL. It’s the first book in a series to feature Cat Latimer who has inherited her ex-husband’s large house in her old home town. A writer herself, Cat is hosting the first week-long retreat for fellow writers which she hopes to become a monthly supplement to her writing income. One of the small group is murdered during the retreat and fellow guests as well as some of the college town’s long term residents form the suspect pool. This book followed the cosy formula a bit more stringently and, for me, not quite as successfully. Mainly this is due to everyone in the book being somewhat more obsessed with romance than I like but obviously this is very much a personal preference kind of thing. 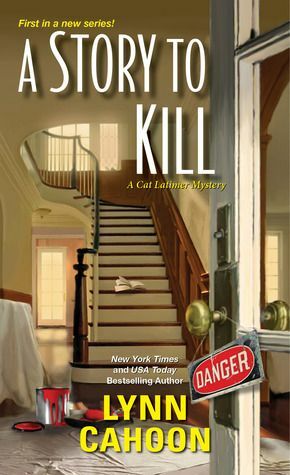 The main story did engage me, especially the way Cahoon worked through various suspects and provided an excellent red herring thread about a possible earlier murder that may have been connected to the current crime. I wasn’t all that excited by the thread offering ‘something mysterious’ about Cat’s dead spouse’s past but it didn’t occupy a lot of the book. Once again the setting didn’t offer all that much that spoke particularly of Colorado but the college town location was depicted with authenticity. I wouldn’t actively seek out more of this series, mainly due to the romance-heavy plot. These are books 20 and 21 I’m including in my quest to complete the Reading USA Fiction Challenge in which I’m aiming to read a total of 51 books, one set in each of the USA (and one for the District of Columbia). My personal twist is that all the books are by new (to me) authors. Thanks to Patricia Abbott for recommending this one. I really liked discovering this author (that I’d never even heard of let alone read before), especially in this Persephone Books edition. They really put the class back into publishing; it comes with a thick card bookmark to match the design of the endpaper. This edition was released in 2003 but the original was published in 1947. THE BLANK WALL is, essentially, the story of Lucia Holley. She is a New Yorker but has rented a house outside the city while her husband is away at war. She lives with her ageing father, two teenage children and a lone servant. From the outside her life appears perfect, perhaps aside from the hardships associated with wartime, but from her perspective Lucia’s life is anything but perfect. And that’s even before her 17 year old daughter Bee hooks up with a much older, married gangster-type. She is socially awkward and feels like a failure as she compares herself unfavourably to the neighbours and other women she knows. With domestic suspense being in vogue at the moment it’s a shame that Holding and authors like her aren’t receiving more of a resurgence. THE BLANK WALL is at least as good as any of the modern tales bearing the categorisation and a whole lot better than a most of them. It’s genuinely tense and suspenseful, really never letting up on the calamities befalling poor Lucia. Lucia is never one of those loveable characters that worms their way into a reader’s heart but I grew increasingly sympathetic towards her. Holding paints a picture of a woman overwhelmed by the gulf between the expectations everyone has of her and her ability, or lack thereof, to live up to those expectations. Though I can’t actually imagine the human being that could give Bee and David what they’re looking for in a mother; they are a pair of insufferable, patronising ingrates. At least that’s how I view them at my age. I did wonder how I might have viewed them when I was closer to their age than their mother’s. Lucia alternates between displaying amazing strength and an almost debilitating sense of failure as she faces an unwanted dead body, being blackmailed and the deep embarrassment of not having enough money to protect her loved ones. She hides these terrors from everyone, especially her absent husband who she writes to every night without giving even a hint of what’s really going on in her life. She doesn’t want to worry him. Only Sybil, the housekeeper, has some idea of what’s really happening. Until Lucia meets the nice(ish) gangster. Martin Donnelly, who seems to fall under Lucia’s spell, is the only character in the book I never fully believed but perhaps that’s because I’ve seen too many mafia movies. Although it’s 70 years old this year THE BLANK WALL does not feel dated in the way that some older books do. I’m sure many women, and to be fair a lot of men too, would sympathise with the feelings Lucia goes through when she is confronted by things outside her control and being unable to do all the things her loved ones need her to do. The depiction of a supposedly ‘normal’ woman quietly unravelling is totally compelling and feels very ‘now’. A highly recommended read. This design, based on 1940’s furnishing fabric, is used for the new edition’s endpapers and an enclosed bookmark. I don’t remember the last time I read two books by the same author in immediate succession. 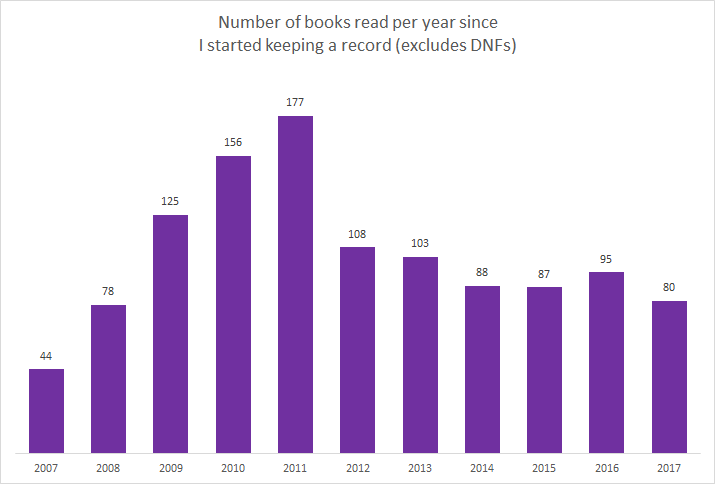 It’s been at least 11 years (that’s when I started keeping a detailed record of my reading) but I have a sense it’s actually much longer. While I love nothing more than to binge on TV shows I generally like to space my reading of even much loved authors out. Except this month. It was back in June this year that I realised Shamini Flint had moved from being “an author whose work I like” to “an author whose books I love to the point of rambling about them to everyone including people who have no interest but are too polite to say so“. At the same time I realised I’d missed reading several of her series’ earlier instalments so immediately ordered all three of those from my favourite local bookseller. Last week I decided that one of these would be perfect for my end of year mood. 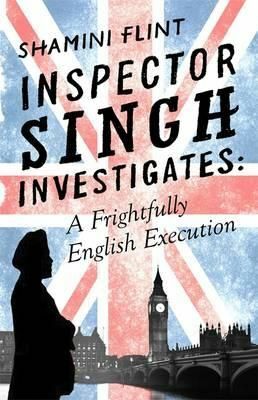 When I finished I felt unready to leave Inspector Singh and his world view so I dove straight into the second unread book. At the end of this I might easily have gone into the final unread book but alas SINGAPORE SCHOOL OF VILLAINY has been on back order and is not yet in my hot little hands (though it should be here shortly she says gushingly). 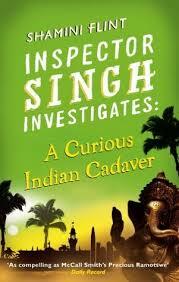 In A CURIOUS INDIAN CADAVER Flint’s protagonist, Inspector Singh of the Singapore Police, goes to India with his wife for a family wedding. He is not thrilled to be so engaged but he’s on enforced medical leave and doesn’t have much choice. He is soon embroiled in a murder investigation when a corpse is identified as the bride-to-be. The official version of events is that she committed suicide, probably to avoid her arranged marriage, but the young woman’s grandfather, an influential businessman, doesn’t believe that and asks Singh to look into the matter. 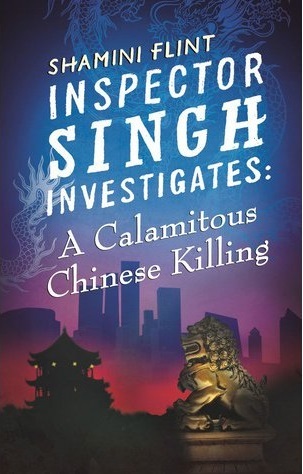 In A CALAMITOUS CHINESE KILLING, which follows immediately after the Indian-set book in the series chronology, the Inspector is sent to China to investigate the death of the son of the Singaporean Ambassador. 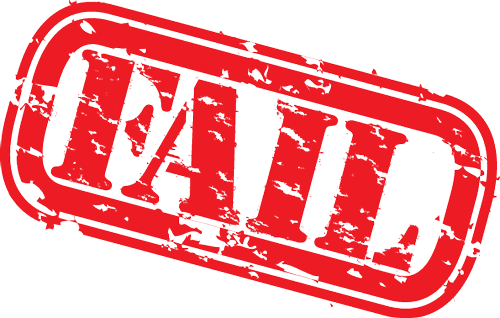 Local police have closed the case as a robbery gone awry and Singh is, at first, inclined to agree with this assessment but, aided by a sidekick/translator in the form of a retired policeman who fell afoul of his superiors, is soon following leads down dangerous paths. Suffice it to say I loved both of the books, which delivered all the things I’ve come to expect and admire from the series. They’re not doorstops, generally being around 300 pages in length. There’s an engaging protagonist who does have personal weaknesses but these are not as debilitating as the ones many of his fictional colleagues experience. There is a limit to how much I want to read about addiction. The stories are suspenseful and while their investigations might, of necessity, unfold a little more quickly than real-life ones do they are always within the boundaries of my credibility. Because each book is set in a different country readers are offered insights into a range of local historical, social and political issues. For example in A CURIOUS INDIAN CADAVER we learn about how a particular historical event affecting the Sikh people has long tentacles that affects people in the modern era. And, perhaps most important of all, while it’s not hard to discern which way the author leans politically (especially if you follow her on twitter), the books don’t cross the line from storytelling to lecturing. There is a balance in the depictions of local people and customs even when these are alarming, such as in A CALAMITOUS CHINESE KILLING in which recalcitrant citizens are dealt with appallingly by prison authorities. I am truly grateful to Flint for showing restraint in this arena. The books don’t shy away from depicting such horrors as exist but there is not mountains of exposition. Readers are treated with the intelligence to know why these things are wrong. I have been reading another, much acclaimed book for the past several weeks but keep putting it aside because it is so didactic and obvious in its messaging, constantly reminding readers why racist behaviour is racist and awful. I hate being lectured at by my leisure reading. It treats readers who are already of the prevailing opinion as though they are morons and doesn’t work on the rest. People who disagree are never going to be convinced by being metaphorically shouted at. Now that I’m nearly finished reading all the ones that currently exist I truly hope that Shamini Flint has some more Inspector Singh adventures to share with us all. And if you haven’t tried any of the books I highly recommend them. As an unemployed person in dubious health* I ought not be spending money on frivolities but I couldn’t resist trying out a Vintage Mystery Box (aka Coffee and Crime but you can’t post coffee to Australia). Kate from Cross Examining Crime is a classic crime aficionado and, I can now report, also a dab hand at preparing packages of joy. After negotiating with Kate about postage rates to Oz and asking her not to incorporate illegal foodstuffs in my package I signed up for a mystery box late last month. I was expecting it to take much longer to get here but this morning I collected my box from the post office and immediately abandoned my other chores so I could rush home to open it. 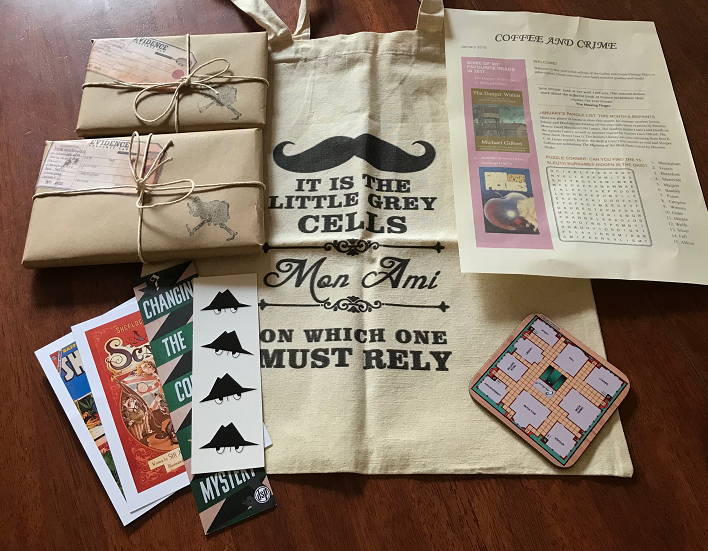 My package contained a newsletter-come-puzzle sheet, a Cluedo-themed drink coaster, two postcards and bookmarks, a Poirot-quoting tote bag and 2 nicely wrapped vintage crime books. What an absolute delight. The books are both from authors I have never read which is exactly what I was aiming for in my quest to become a little more well versed in my favourite genre’s past. 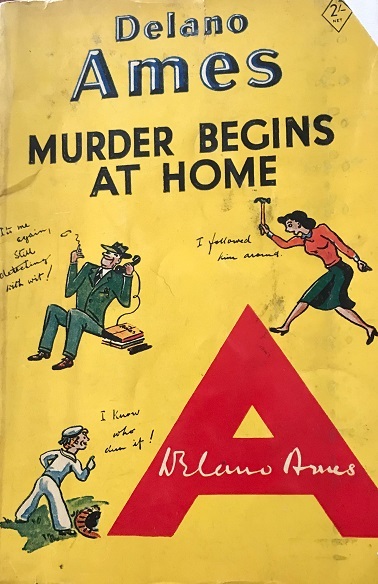 There is more to vintage crime than Dame Christie after all and I am woefully ignorant about most of the authors who reigned the genre in the past. Even without having read the books yet I can heartily recommend the Vintage Mystery Box as a gift idea. The packages can be purchased as a one off or as a subscription service as often as you’d like. If you don’t want to buy one for yourself you can prompt your loved ones with the address of Kate’s Etsy store. I had another treat waiting at the post office earlier this week in the form of David Owen’s latest Pufferfish novel BIG RED ROCK. I am very much looking forward to settling down with this over the Christmas break but I was also thrilled to learn that Owen’s current publisher is in the process of re-releasing the first books in this clever, funny series that celebrates the best of Tasmania. The early books have been out of print for nearly two decades, meaning those of us who are late to the Pufferfish appreciation society have been unable to read them. Until now. 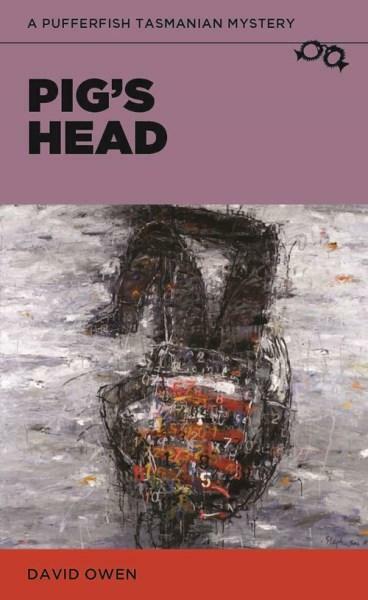 The first book in the series, 1994’s PIG’S HEAD, is available now. I’ve reviewed the later books in this series including ROMEO’S GUN, 13-POINT PLAN FOR A PERFECT MURDER and HOW THE DEAD SEE. Although I haven’t read the whole series (yet) I am prepared to recommend them all for lovers of intelligent, slightly quirky crime fiction. *lest you worry too much, rest assured I really am doing perfectly fine both financially and health-wise; this year has just had a couple more hiccups than usual. 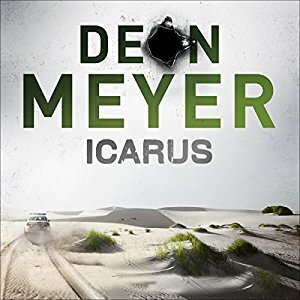 ICARUS is the latest of Deon Meyer’s intelligent, accessible thrillers set in South Africa, offering his usual mix of local colour and universal themes. The core mystery involves an investigation into the death of Ernst Richter, a young man whose chief success in life was the creation of a website providing alibis to cheating spouses. This provides an ample suspect pool, especially when it appears that hackers have accessed the firm’s client data and are prepared to release the names of high profile customers. The investigative thread of the story features Meyer’s recurring characters that make up the Hawks; an elite team within the police force. I like the way Meyer depicts the whole team and its various personalities and doesn’t concentrate entirely on a single detective. In this outing Vaughan Cupido is in charge of the investigation while the usual lead, Benny Griessel, is struggling. At the outset of the novel he is called to a scene where a fellow officer he knows has killed himself and his family. This leads to Griessel losing his sobriety (again) and his investigative focus. I must admit to groaning a bit at this turn of events as I am a bit tired of reading about people battling addiction in the middle of my crime fiction but to be fair Meyer does handle this aspect of his character’s life very realistically. At the same time as the police investigation is unfolding a local wine farmer is talking to his lawyer and the transcript of that conversation offers some of the story’s twists and turns. At first it is not clear how – or even if – the two threads are connected but the parallel storylines do eventually draw together. Meyer is a master at this complex, multi-pronged approach to storytelling and in ICARUS he proves it once again. For audio book fans some author/narrator combinations become more than the sum of their parts and for me this is never more true than when Deon Meyer’s writing is paired with Saul Reichlin’s narration. Both bring their particular talents to the art of storytelling and I love that I get to hear all the dialects and idioms Meyer’s books are sprinkled with. At which point I should also mention the excellent translation from Afrikaans by K.L. Seegers who always seems to know just how much of the local language can be left in the text without confusing woefully monolingual readers such as myself. 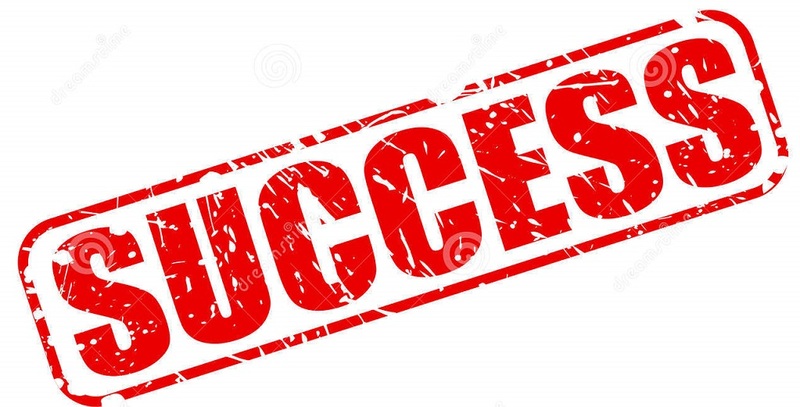 I know we tend to think of writing as a solitary profession but it’s always good to be reminded that the production of a finished novel – especially a good one – is a collaborative effort. ICARUS is not my absolute favourite of this wonderful series: Benny Griessel falling off the wagon and a smidgen too much exposition about the history of South African wine were my stumbling points. But even when he is ever so slightly off his game Deon Meyer is still a top tier author. 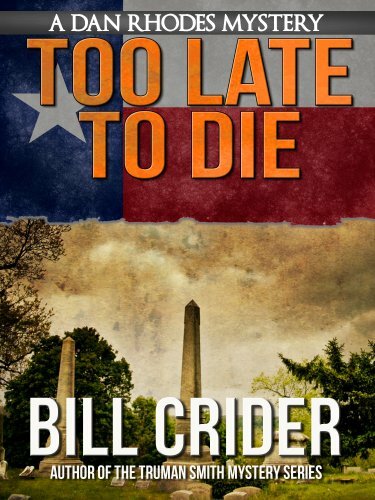 The book is fast-paced, packed with terrific characters and topical at both a local and international level. I’m already looking forward to Saul Reichlin reading me the next adventure in this series. 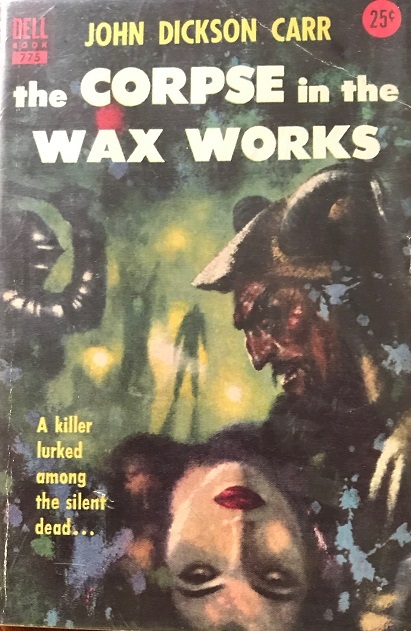 I heard about this book on an episode of Two Crime Writers and a Microphone (a UK-based podcast that focuses on crime fiction) and was intrigued enough to track down a copy. The tale of a royal murder in 1920’s India and the difficult investigation that results well and truly lived up to my expectations for a smart, entertaining read. The event that sparks the novel’s action is the assassination of Prince Adhir, heir to the kingdom of Sambalpore. He happens to be in Calcutta and in the presence of police Captain Sam Wyndham and Sergeant ‘Surrendernot’ Banergee when he is killed which is how our heroes come to be force their way into the investigation into his death despite the reality that neither the pair’s superiors nor the people or authorities in Sambalpore want them involved. There’s a lot of historical crime fiction around but the setting in India at the time when the British Raj was declining offers something genuinely different to all the rest and Mukherjee has depicted it evocatively and intelligently. The interplay between the British and local people is a key ingredient of the setting and without awkward exposition or flagrantly implausible modern sensibilities this aspect of the book is handled particularly well. The general physical and social attributes of the location are also well drawn, providing that sense of virtual travel that the best such fiction does. I enjoyed meeting the two main characters who are cleverly given a kind of equality that might not have been available to them in real life. Although he is subordinate to Wyndham in terms of organisational structure the Sergeant has an equal amount of agency and purpose in the story and does not merely act as the traditional sidekick. The fact that he doesn’t have an opium addiction, whereas Wyndham does, made Sergeant Banerjee a favourite for me as I’m a bit tired of addicted detectives. I get that they are probably realistic – who wouldn’t need some kind of salve when confronted with an endless stream of human misery in the way they are – but if I wanted that kind of realism I’d read more true crime. This probably makes me the worst kind of reader as I claim to enjoy books with an authentic feel but my idiosyncrasies can’t be helped. There is an array of compelling supporting characters in the book, many of them women who display a strength and independence I found appealing. There is an earlier novel in this series which I haven’t read but I did not feel at a disadvantage for that. The author has provided enough explanation of previous events for me to grasp what’s going on, but not too much that I would feel unable to go back and read that first book (which I have every intention of doing). 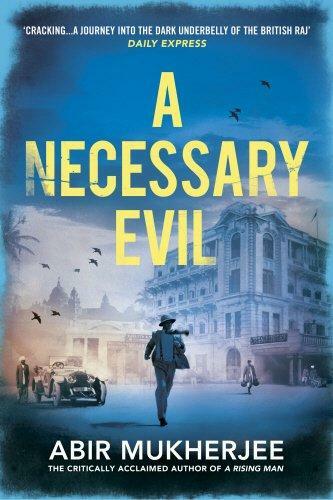 A NECESSARY EVIL has elements of humour, romance and politics in addition to the intriguing, suspense-filled mystery at its heart. It is a top read.